MNC are official Partners for this event. We are huge fans of awards. MNC directors will be at the awards ceremony in December and we look forward to seeing some of you there. We look forward to welcoming NatWest Everywomen as a host in our Spring Twitter Hour timetable. We will post here when we have the confirmed date. 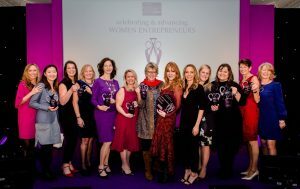 Now in its 16th year, the NatWest everywoman Awards will once again celebrate the success of Britain’s top female entrepreneurs at all stages of their journey – from young businesses to those who have established multi-million pound organisations. Why nominate? The NatWest everywoman Awards celebrates the UK’s brightest female entrepreneurs, from innovative start-ups to established multi-million-pound organisations while showcasing the achievements of nominees, often in the face of adversity. Becoming a finalist is an excellent way to raise both individual and company profiles, as well as encourage more women and young girls to consider becoming a business owner. Who is it for? The NatWest everywoman Awards are open to any female business owner whether they operate as a limited company, sole trader, or in partnership with others. The awards celebrate the woman behind the business, her personal successes and achievements, and how she individually inspires others. Do you know a female entrepreneur who deserves to have their career achievements recognised?